Home / Celebrities / Celebrities & Fitness Trainers / First Time Ever! Dr. Dahlia Wasfi On Her Journey From A Doctor To An International Peace Activist! First Time Ever! 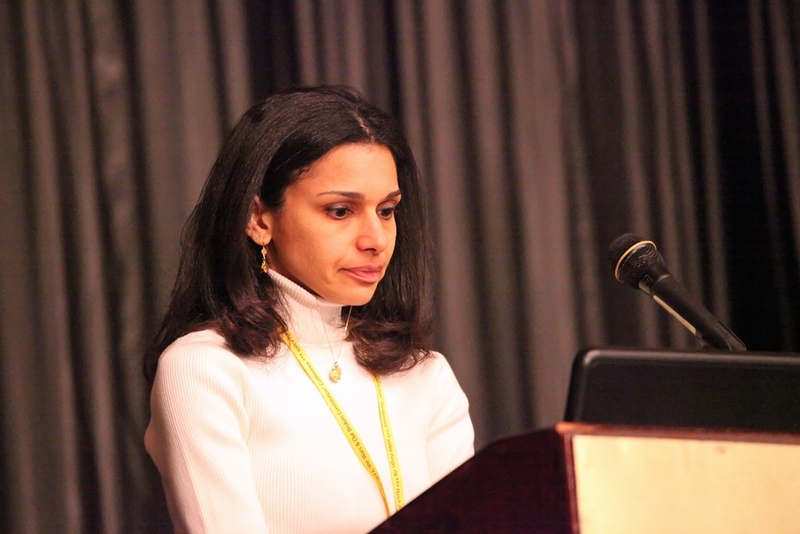 Dr. Dahlia Wasfi On Her Journey From A Doctor To An International Peace Activist! Dr. Dahlia Wasfi is an internationally known speaker and activist. Born in the United States to an American Jewish mother and an Iraqi Muslim father, she lived in Iraq as a child, returning to the U.S. at age 5. After graduating from Swarthmore College with a B.A. in Biology in 1993, she earned her medical degree from the University of Pennsylvania in 1997. Dr. Wasfi has made two trips to Iraq to visit her extended family since the 2003 “Shock and Awe” invasion, including a three month stay in Basrah in the spring of 2006. She has brought her eyewitness account of life under occupation to over 200 audiences in twenty-two United States, Capitol Hill in D.C., Ontario and British Columbia, Madrid, Spain in 2007, and the 3rd International Iraq Conference in Berlin, Germany, in March 2008. Dr. Wasfi, an international peace activist walks us through her incredible life journey from a doctor to an activist and talks about health of women in Iraq in an exclusive interview with Namita Nayyar, President Women Fitness. Ms. Namita Nayyar: You are a well-renowned physician, peace activist and an environmentalist who actively speaks out against the environmental impact of war and the corporate and government restructuring of farming methods and food resources in war zones. Tell us more about your incredible journey so far and how it all began? Dr. Dahlia Wasfi: Thank you for the honor of your introduction! Because of my family background, I think activism is in my blood. My father, may he rest in peace, was born and raised in Basrah, Iraq. He graduated from Baghdad University and came to the US for his graduate studies in the 1960s. In Washington DC, he met my mother—a nice Jewish girl from New York. Her parents (my grandparents) were Holocaust survivors who fled their homeland of Austria during Hitler’s Anschluss. When my parents got married, great friction erupted between these grandparents and my father. Despite these troubles, my parents started their family. My sister was born in Washington DC in 1969, and I was born in New York in 1971. I grew up amidst this family tension—a microcosm of the Arab-Israeli “conflict”—rooted in the illegal military occupation of Palestine. As a young child, I determined to resolve the conflict to bring peace to my family. But when my parents encouraged me to pursue a career in medicine, I put all my efforts into becoming a doctor. I earned my MD in 1997 and began training in general surgery. But I wasn’t passionate about this career. After three years, I switched to anesthesiology, hoping a better lifestyle would make me happy. Still, my heart wasn’t in it, and I would eventually learn that until I followed my passion, I would never find my own inner peace. In September 2002, suffering from depression, I took leave from my medical training. After the 2003 Shock and Awe invasion, I went to visit my relatives in Iraq whom I hadn’t seen since I was a child. I became inspired to share their stories and give a voice to their struggles. This is how my activism started, and I have been so fortunate to continue to follow this path—and my heart—through today. I no longer work as a doctor, but I hope to bring healing to myself and others through my activist work. I seek to put a human face on the victims of war and occupation and bring to light the damage that military aggression does to these families and to our planet.